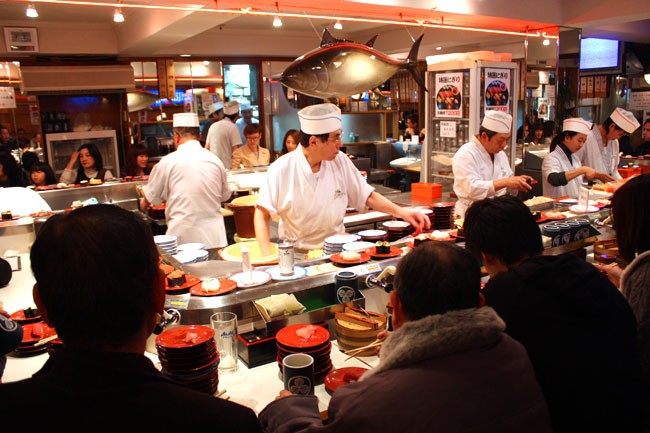 [Tokyo, Japan] A trip to Japan is not complete without trying out one of its Kaiten-zushi, a sushi restaurant where plates or sushi are placed on a rotating conveyor belt. Some call this the sushi train. The benefits: You do not need to speak a single Japanese to know and see what you want to order. And the final bill is based on the number and types of plates consumed (usually each colour would represent a different price.) You don’t even need to go through the embarrassment or acting like animals to indicate a certain meat. If you are at Tokyo and do not know where to start, make your way to Tsukiji Honten 回転寿司 築地本店 which is walking distance from Shibuya Station. 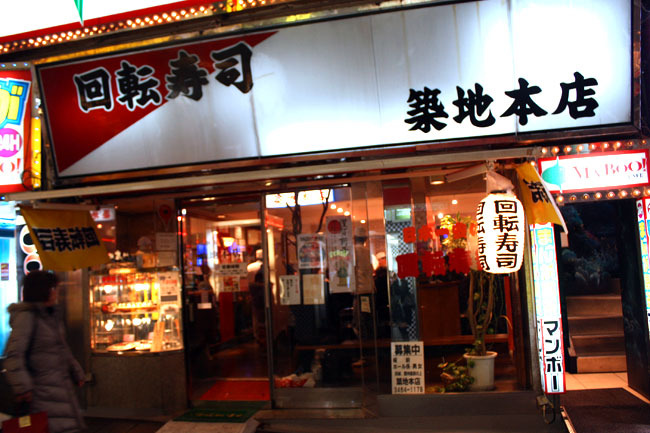 This is one of the most popular conveyor belt sushi restaurants amongst tourists, expatriates and Japanese youths. At a price of 120 yen per plate (that’s SGD$1.90 or US$1.50), the sushi is really cheap, for Japanese standard. 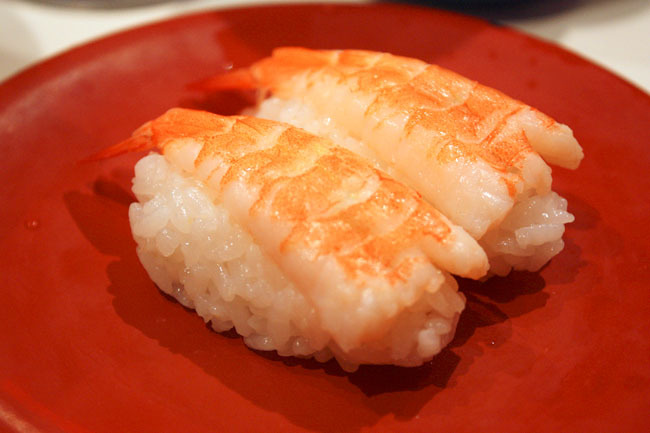 You may find 7 plates of sushi a little overwhelming, but you should be able to finish them, in good time. 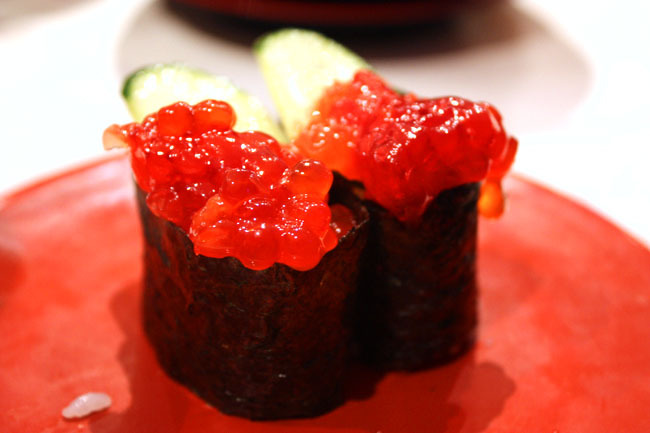 As the fish comes directly from the famous Tsukiji fish market, you can be assured of freshness and quality. 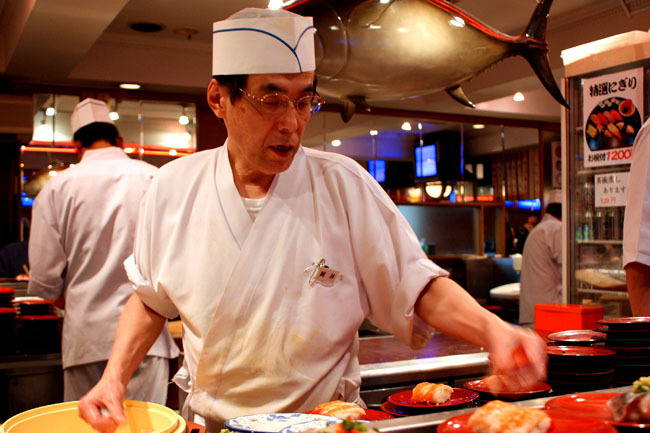 Plus, the experienced chefs would be making the sushi right in front of your eyes, pressing the rice into shape in quick time – a visual spectacle. After which, you can always make your way from Shibuya, Japan’s main fashion centre and happening nightlife area. Directions: Shibuya Stn. 2min. From Hachiko Exit, head right and cross the road toward QFRONT. Enter the road to the left, walk straight and turn into the second road on the right. Tsukiji will be on the right. I love this place… eat every time we go to Tokyo. to ask. Does operating a strong blog such as yours take a massive amount work? I’d like to start a blog so I can easily share my understanding and views online.